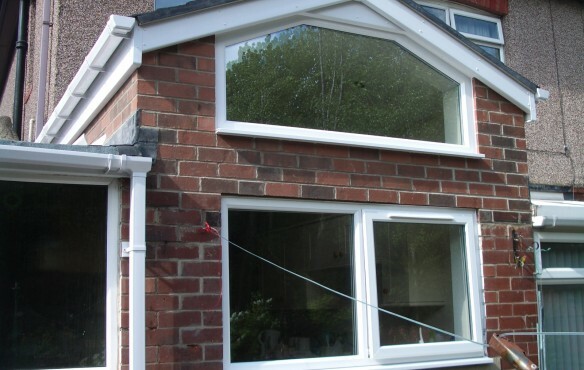 If you would like to have a chat with any of our customers who have kindly left testimonials of the work we have carried out, please don't hesitate to give me a call on 07782 203 807 and I would be happy to arrange this for you. The below statements have had the clients personal details removed for their own protection and have been typed out again for the use of this website, however all original copies have been kept in a portfolio and all clients mentioned below have agreed to speak with any potential customers on request. 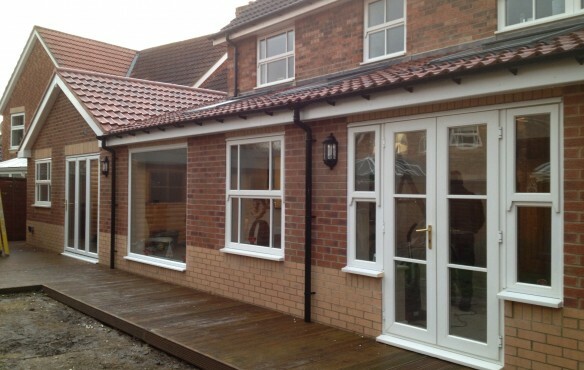 This is a 15 meter rear Sun room extension complete with family room, utility space and granny flat kitchen. Haydon Grange 2012. Jose was recommended to us by our architect who works for another building firm we used in the past. We looked at a previous job he had done and were impressed by the work quality in addition to the rave review from his delighted clients. The work started and finished as per the original quotation, with Jose and his team working some long hours to keep to the deadlines. Any problems that occurred were tackled with innovate solutions and we couldn't be happier with the end product. Jose is very professional and ensures any sub-contractors parts of the job are carried out to his high standards. To conclude we have no hesitation in recommending Jose for any building requirements and are more than willing to speak about his work or show a potential customer the great work he did for us. Only downside we can think of is his singing on site, but luckily we weren't charged for that! Fiona Riley. This was a Decking job we took care of after working at the same property fitting solid oak doors, backmoulds, and skirtings. Stocksfield 2007. "Mr Gonzalez and his men have been periodically working on our new house in Stocksfield since the summer of 2006. We have found Mr Gonzalez and his staff to be professional, helpful and very reliable and we are extremely happy with the quality of his workmanship. We have no hesitation in recommending Mr Gonzalez and we will be certainly using him again." Mr and Mrs C Lloyd. 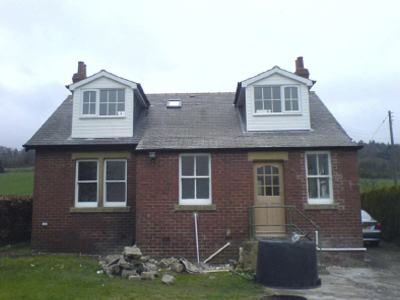 We converted this bungalows loft back in 2006, we gave the space 2 double bedrooms, an En-suit and a dressing area. Located in Corbridge. Thought I must write you a quick note to say how pleased we are with all the work you carried out, which along with the loft conversion ended up being almost a complete refurbishment of the house. Your work has been much admired. Not only were your team very easy to work with but we appreciated the extra mile or two you went to in helping us work through problems that arose. 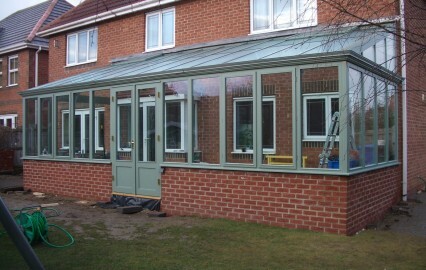 The quality of the work appears to have been carried out to a very high standard which you can be proud of. As you know I have referred you to my friends and family and I am pleased that as a result you have taken on new jobs just from that word of mouth recomendation, we will definately use you again. This is one of our most treasured clients as we have worked together and completed many jobs on the farm properties over the last 7 years. Building & Joinery work, fully plastered out, new kitchen fitted. Palmersville. 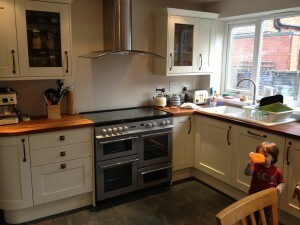 Everyone involved in fitting our kitchen was reliable, professional and polite - and they tidied up each day. The work progressed as prommised and we were very happy with the finished result - it has been much admired. A full bathroom refurbishment from start to finish in just 1 week, in the Cramlington area. - Delighted with bathroom and would highly recommend to anyone. - End product , bathroom , absolutely stunning & even better than I thought it would be. 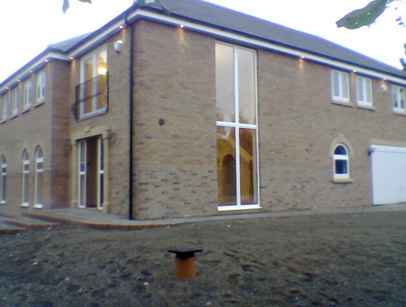 - All work to a very high standard & after service briliant. - All workmen courteous, polite and went that extra mile to get job completed. - Extremely clean job, all work cleaned up and made as new at end of day. - Respectful of home and property. Front and rear porches were build over a period of 2 years. Seaton Burn. 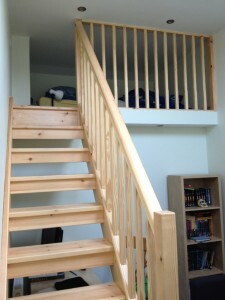 Jose's work was of a very high standard, he is conscientious and very clean when working. He treats your home and the work to be done as if it was his own home. Jose and Mark always ate the fairy cakes I Baked! This is one of my regular clients that lives in Cumbria but ownes some properties in the Jesmond area of Newcastle. 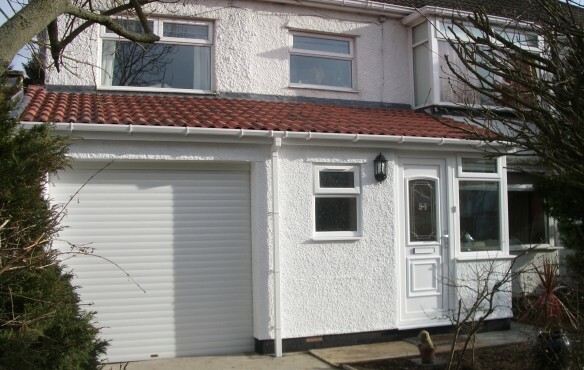 Build a large porch with incorperated garage front and new downstairs toilet. located in West moor. Excellent service from turning up at the appointmenttime for the quotationfor the works, to start of work. I found the whole team gave an excellent service, keeping work areas clean and tidy and safe at all times. The standard of the finished work is excellent and I would recommend your company to anyone requiring building work, no matter how big or small the job. All work was completed to an extremely high standard with the attention to the tiniest detail outstanding, a pleasur to employ such a hard working, honest and professional team. 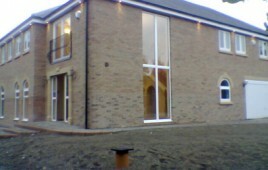 Works carried out on the rear of a property in the Morpeth area. Jose and his team worked on variour parts and also on the extension to remove the rear of our home. Initialy we intended to use Jose for a small aspect of the project, but quickly grew to management of the majority of the build. Durring the build we had complete confidence in Jose's team and the quality of their work , this surpassed our expectations. Of particular note, it's Jose's ability to meet his commitments, be it time, quality, price or scope of work. As I was abroad on business durring much of the build , I was happy with with our decision to work with Jose and his team. Paul Turnbull. 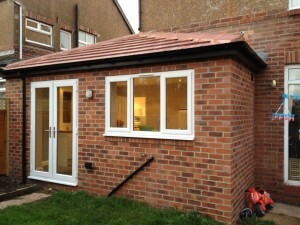 Convert a flat roof kitchen in to a modern looking pitched roof style one complete with new fitted kitchen. Walkerville area. Great attention to detail and an excellent finish to the job. You were punctual and very friendly. Very satisfactory job, worth the money.